Unwanted guests are never fun, especially when you can’t ask them to leave. Luckily, Saint Bernard pest control companies have no problem kicking them out. Whether there’s a rodent in your basement or insects in the attic, call your local Saint Bernard exterminator to take care of them — do not try to wrangle them out yourself! Not sure which type of home pest control service in Saint Bernard, OH can tackle your issue? Read profiles and ask about their past experiences to get a good idea. Honey bee removal and relocation services. Fully Insured. We are a full service honey bee removal company. We remove and find suitable homes for the honeybees. We do not do any contracting work. Will work with all contractors or help you find honeybee approved contractors. 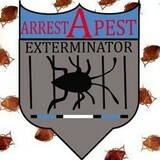 Arrest A Pest Exterminators L.L.C. is a pest control contractor / exterminator serving the Hamilton, OH area. Services include Pest Control, Commercial Pest Control, Bedbug Extermination, Insects & Spiders, Ant Extermination, Mosquitoes & Ticks, Bee Control, Hornet & Wasp Control, Centipedes & Millipedes, Cockroach Extermination and Mice & Rat Control. Serving towns of Cincinnati, Hamilton, Middletown, Fairfield, West Chester, Mason, Franklin, Oxford, Harrison, Cleves, Trenton, Germantown, Camden, Bellevue, Dayton, Monroe, Okeana, Somerville, Addyston, West College Corner, College Corner, Seven Mile, Bath, Gratis, Miamitown, West Elkton, Hooven, Arlington Heights, Avondale, Blue Ash, Carlisle, Cheviot, Colerain Township, Collinsville, Columbia Township, Deer Park, Elmwood, Glendale, Groesbeck, Indian Springs, Liberty Township, Lindenwald, Lockland, Madeira, Montgomery, Mount Healthy, North College Hill, Norwood, Overpeck, Parkdale, Queen City, Reading, Roselawn, Ross, Rossville, Saint Bernard, Sayler Park, Shandon, Sharonville, Silverton, Springdale, Symmes, Taft, Walnut Hills, Westwood and Wyoming. 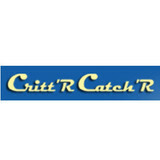 Critter Catcher can help! Resolving your animal control problem is our speciality. If you live in the Cincinnati or Northern Kentucky area, call us for professional and humane animal control, animal removal and professional-grade damage repair solutions whether residential, farm, commercial or municipal properties. We handle any type of wildlife nuisance problem from lawn damage and in-home nesting to threats from aggressive and unpredictable wildlife. When it comes to pest control services, you want to call the elite pest control company, Pest Assured Pest Relief out of Dayton, OH. At Pest Assured Pest Relief they offer expert services for both residential pest control and commercial pest control services including bed bugs, fleas, roaches, and ants. You can count on the professionals at Pest Assured Pest Relief in Dayton, OH for all of your pest control needs. Mosquito Squad is America's most trusted mosquito control company in the nation. Treating over 90,000 properties we are the largest company in the nation as well. With a focus on outdoor pests including mosquitoes and ticks we offer 85%-90% reduction and its backed by our 100% satisfaction guarantee. Arrest A Pest Exterminators L.L.C. is a pest control contractor / exterminator serving the Dayton, OH area. Services include Pest Control, Commercial Pest Control, Bedbug Extermination, Insects & Spiders, Ant Extermination, Mosquitoes & Ticks, Bee Control, Hornet & Wasp Control, Centipedes & Millipedes, Cockroach Extermination and Mice & Rat Control. Serving towns of Alpha, Beavercreek, Bellbrook, Brookville, Carlisle, Centerville, Clayton, Dayton, Donnelsville, Englewood, Enon, Fairborn, Farmersville, Franklin, Germantown, Harveysburg, Huber Heights, Kettering, Lebanon, Ludlow Falls, Medway, Miamisburg, Moraine, New Carlisle, New Lebanon, Phillipsburg, Phoneton, Spring Valley, Springboro, Tipp City, Trotwood, Troy, Union, Vandalia, Washington Township, Waynesville, West Carrollton, West Milton, Xenia and Yellow Springs. Elite Pest Management of Milford has been in business for 2 years. We provide the most reliable termite and pest control services in Milford, OH. Call us today and get quality beyond your expectations! Bed Bug Solutions is the best bed bug extermination company in Cincinnati and Dayton, Ohio. We offer free estimates and a one year warranty on our bed bug treatment services! Kimberly's Intuitive Spiritual Sessions 10921 Reed Hartman Hwy Cincinnati, OH 45242, United States 513-827-0319 kiss@8711consulting.com <a rel="nofollow" target="_blank" href="http://www.kimberlysspiritualsessions.com/">http://www.kimberlysspiritualsessions.com/</a> At Kimberly’s Intuitive Spiritual Sessions, certified psychic medium, Kimberly Thomas, creates a sacred, safe place to seek answers from the divine. Based in Cincinnati, OH, this spiritual counseling center offers energy healing, tarot card readings, medical intuitive readings, Akashic records consultations, and more. When life presents you with obstacles, you can count on Kimberly to help you find your way. When we move through and heal from life’s challenges, compassion is key, which is why Kimberly’s services are all compassion-centered. She believes in helping her clients connect and develop their own natural abilities, providing a sturdy and welcomed relief. When you book an appointment at Kimberly’s Intuitive Spiritual Sessions, you’ll be able to schedule a 30-minute or 60-minute clairvoyant session. If a medical intuitive reading is what you need, though, know that you can receive a psychic body scan and other energy healing services, like Reiki and Radiant Heart Healing. Additionally, Kimberly offers group sessions, which are a minimum of two hours each. Kimberly Thomas isn’t only a certified psychic medium, but she is a kind and loving teacher, as she provides the public with informative workshops about divination, intuition, past life regression, and more. And if you want to develop your own psychic abilities, you can always attend one of Kimberly’s psychic development circles. To learn more about Kimberly’s Intuitive Spiritual Sessions in Cincinnati, visit her online. Also, don’t forget to “like” her on Facebook. To speak with Kimberly today, give her a call at(513) 827-0319, so you can finally getthe answers you've been searching for.